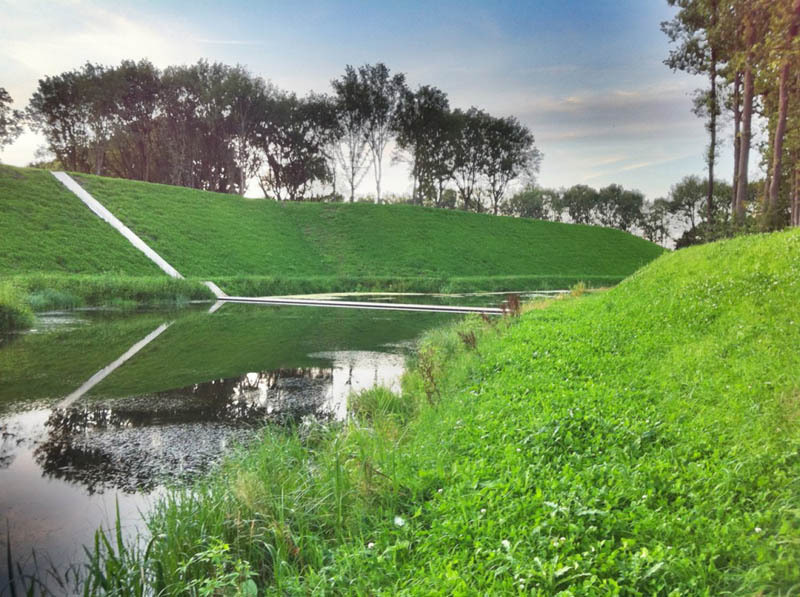 Winner of the Best Public Facility in Arch Daily’s annual Building of the Year competition, Moses Bridge by RO&AD Architecten is a sunken and seemingly invisible bridge in Halsteren, The Netherlands. The bridge is located at the West Brabant Water Line, which was a defence-line consisting of a series of fortresses and cities with inundation areas in the south-west of the Netherlands. It dates from the 17th century but fell into disrepair in the 19th century. 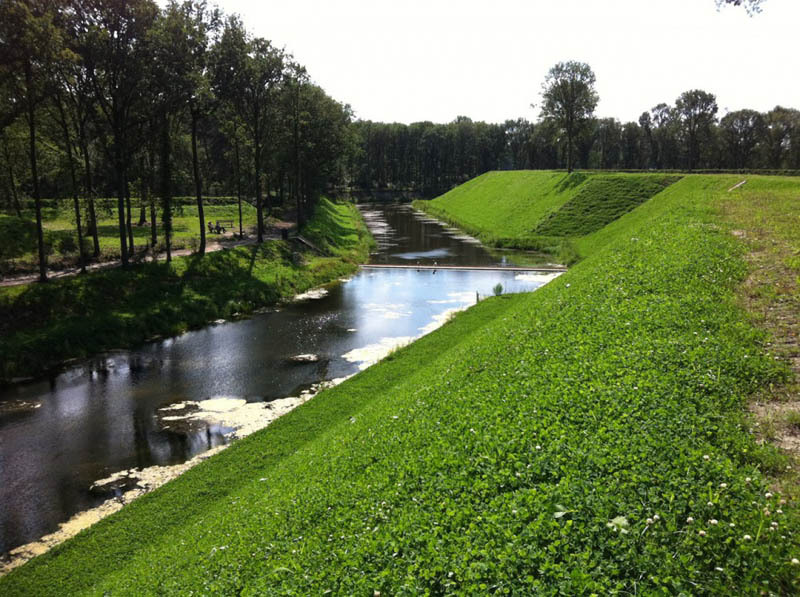 When the water line was finally restored, an access bridge across the the moat of one of the fortresses, Fort de Roovere, was needed as the fort now has a new, recreational function and lies on several routes for cycling and hiking. 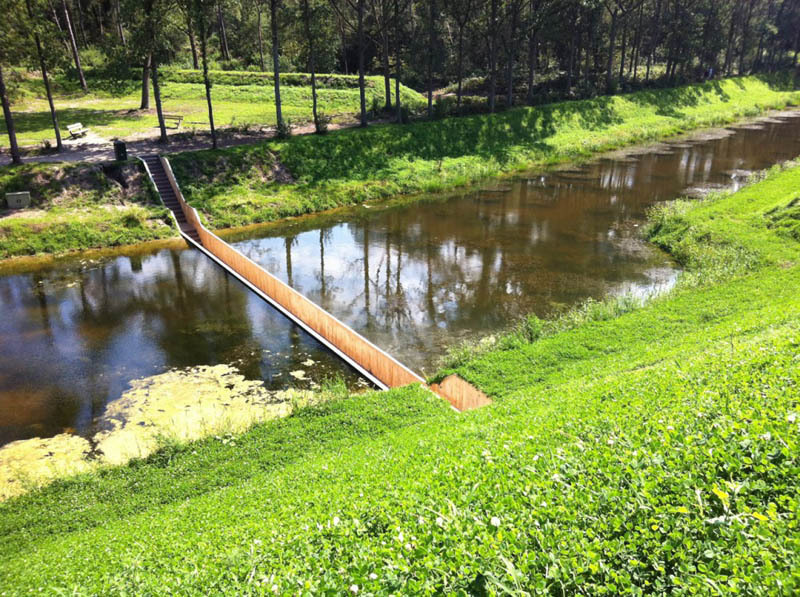 The end-result was the stunning Moses Bridge. 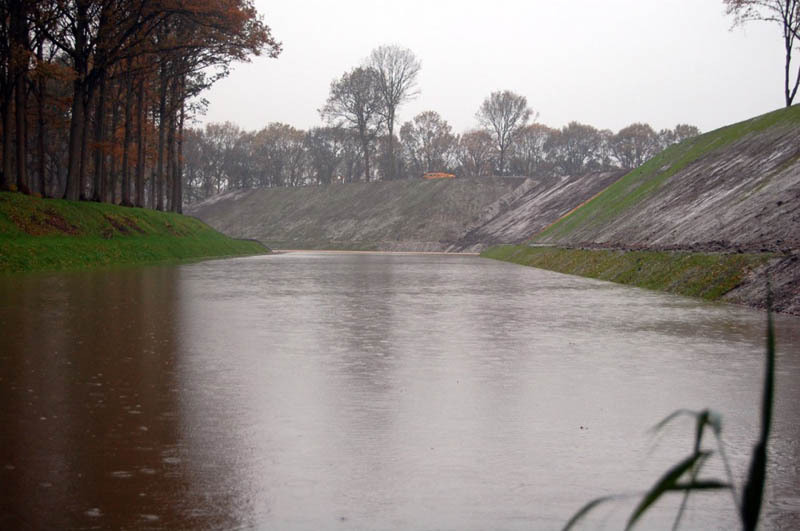 – How does the drainage system work, especially when it there are heavy rainstorms? – Does the construction of this bridge alter/impact whatever ecosystem exists in the water, as it now splits the body of water into two areas?